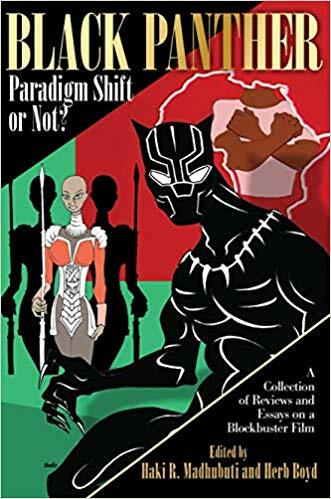 This entry was posted in american history, books, cartoon, comics, film, magazine, news, world history and tagged "Black Panther: Paradigm Shift or Not? ", "Marvel's Black Panther: A Comcibook Biography From Stan Lee to Ta-Nehisi Coates", Haki Madhabuti, Herb Boyd, Marvel character Black Panther, Marvel Cinematic Universe, Marvel Comics, Marvel Films, Marvel Productions, Marvel Studios, Marvel's Black Panther, Marvel's Black Panther movie, Third World Press, Todd Steven Burroughs. Bookmark the permalink.